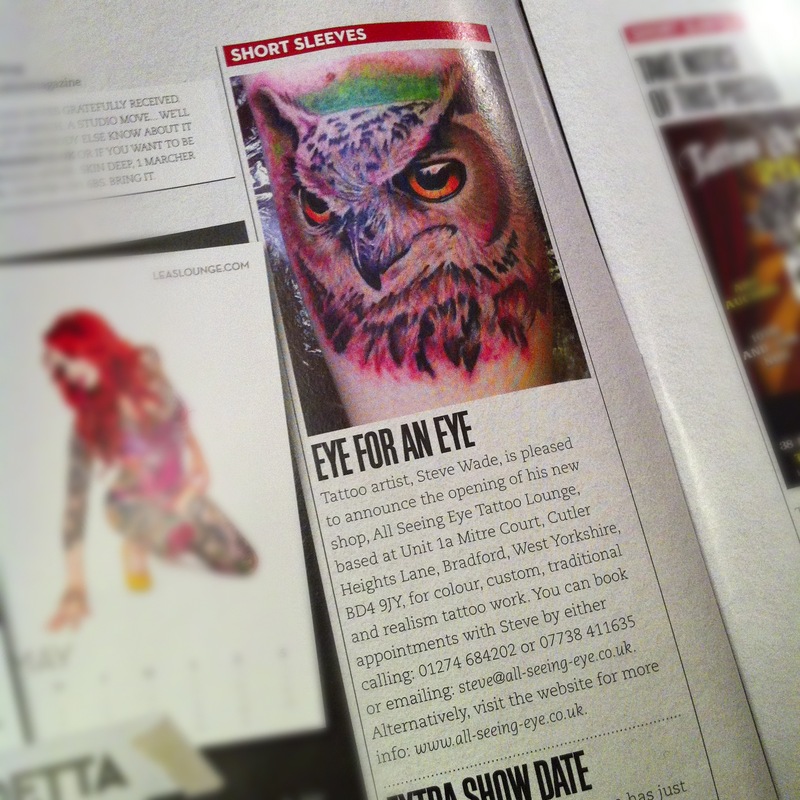 First time in a tattoo magazine – Skin Deep! Ok so Skin Deep is one of the biggest tattoo magazines in the UK, and I feel truly honored that they have given me a shout out in next months issue!! Thanks SKIN DEEP MAGAZINE! I really appreciate it! This is the question a lot of people are faced with when they know they want a tattoo but don’t have the inspiration to know what to get. Let me help! I’m designing new and unique tattoos for my customers everyday which are always one off custom pieces that will only be tattooed once. 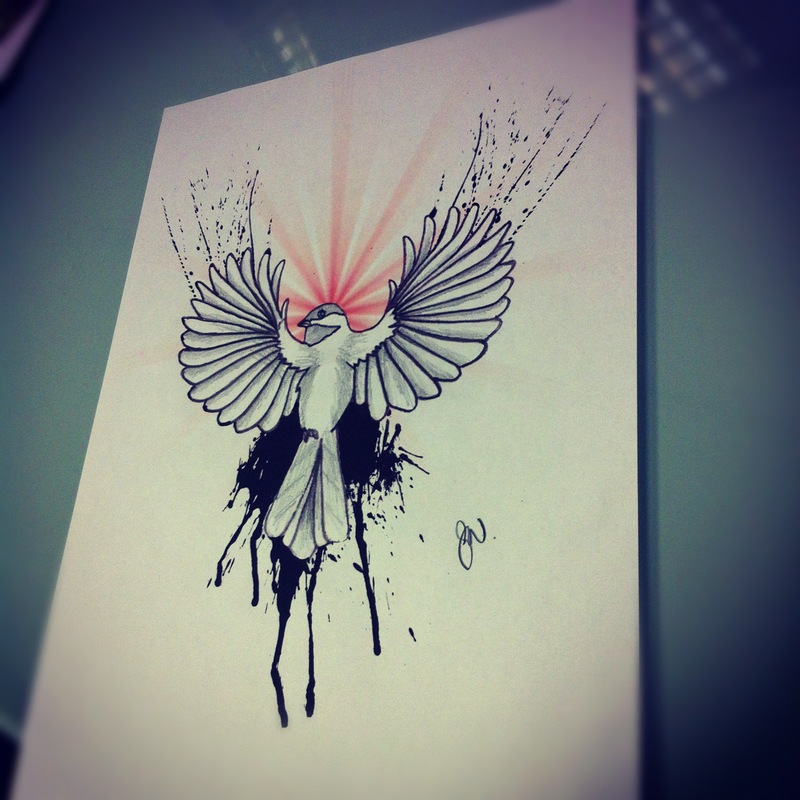 However similar designs can be done based around other tattoo designs if required. If you have a look in the ‘INSPIRATION’ section of my website, you’ll find a growing number of designs that are available as tattoos, and although they are shown as either pencil line drawings or shaded in maybe with a small amount of colour, it’s important to understand how they would actually come out as a tattoo. 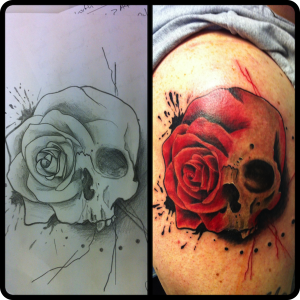 The tattoos I specialise in are either the traditional style tattoos (bold will hold!) or more realism tattoos although there’s a big area of art inbetween all this that I love. The piece shown for example is similar to a realism piece but with a more abstract element thrown in which i’m absolutely loving at the moment. So, if you want something a little special, let me know!! New, Cool tattoo ideas in our Inspirations section. 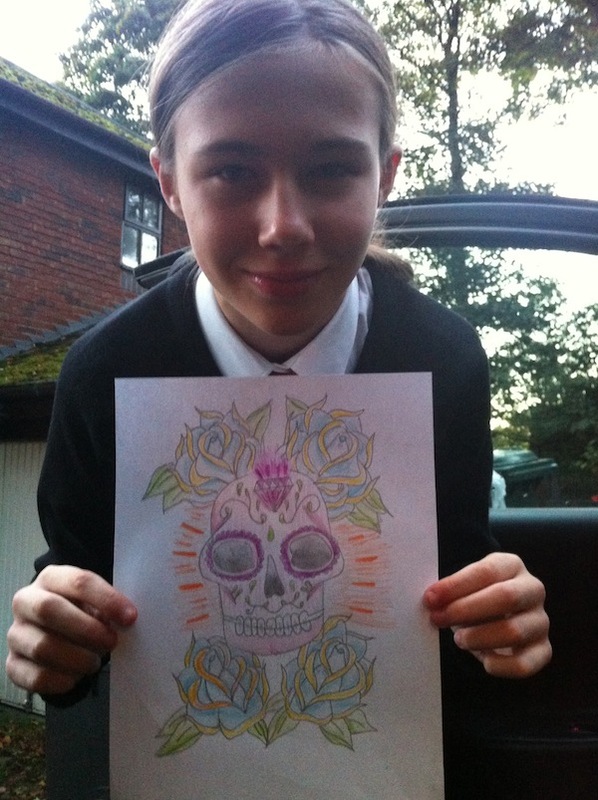 Have a click on the ‘Inspirations’ section of the website and have a look at some of the designs that have been designed for tattoos. My style tends to cross between a mixture of traditional, realism and slightly abstract, just because in my opinion these are the coolest kind of tattoos! All the designs I work on in the studio are for customers of All Seeing Eye Tattoo Lounge, so please don’t go taking them to your own local studio, that’s just really not cool! They take quite a bit of time and effort and are there so my customers can have a unique one off piece that won’t be on anyone else. This is what we do, we’re a totally custom tattoo studio. 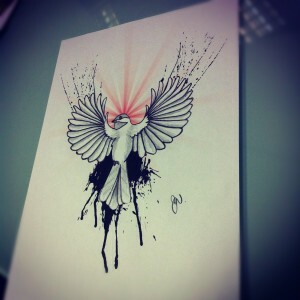 If you want one tattooing, just book in and i’ll sort you out no problem for a very reasonable price too! 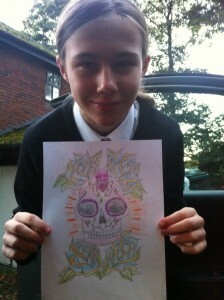 Daisy Wade is my 12 year old daughter and I felt compelled to give her a shout out today on here to acknowledge her ongoing and excellent endeavors into her art. She constantly pushes herself to create new and exciting designs, mainly tattoo design related and spends whatever time she has sketching up new designs and tattoo flash concepts. With such determination and growing talent I can see her artwork growing by the week and I’m certain that she will no doubt end up an incredible artist by the time she leaves school if she keeps up this level of dedication. I’m exceptionally proud of her and look forward to seeing her new designs.